HARTWICK SEMINARY - Rodney H. Ingalls died November 19, 2013, at the age of 94. He lived a long and exemplary life. He was a descendent of the first Ingalls who came to the new world in 1628 and settled Lynn, Massachusetts. 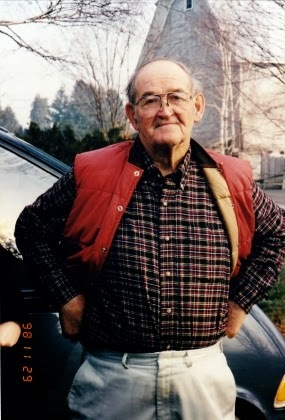 Rodney was the son of a sixth generation farmer. He was born May 7, 1919, at the family farm homestead on Christian Hill. He was the only child of Harry Clark Ingalls and Theresa Chapman Ingalls. At the age of three, his family moved to Hartwick Seminary, where Rod eventually owned and operated the family farm, known as the 'Clover Leaf Farm'. His father, Harry, was very progressive in farming. He had the first milking machine and the first tractor in the township. Rodney graduated from Cooperstown High School with the Class of 1936. He received a four year grant to Cornell University where he graduated in 1940 with a Bachelor of Science Degree in 'Agriculture and Animal Husbandry'. On July 27, 1942, Rodney enlisted in the US Navy and entered into active service as a Naval Aviator. Even though farm sons were exempt from compulsory enlistment, Rodney chose to enlist. He flew reconnaissance missions in both the Atlantic and Pacific theatres off the aircraft carrier USS Guam. His flight assignment was to search for U-boats. He attained the rank of Lieutenant JG and received an honorable discharge from the US Naval Service on December 12, 1945. On June 16, 1944, while in active service, he married Virginia Mary McGraw. His justification for taking on a 'war bride' was that the Navy paid more to married officers. Virginia predeceased him after 62 years of marriage. After his military service, Rodney returned to the family farm where he and his father founded the Cooperstown Dairy and raised a herd of purebred Guernsey cows. His first love became that of raising gladiolus flowers, honey bees, vegetables, and You-Pick Strawberries and Blueberries. The farm was once complimented as being the 'Jewel of the County'. Each Spring Rodney would work out of his home office preparing people's tax returns. He liked people and he liked business, so this avocation came naturally. After the death of Virginia on April 26, 2007, he married Betty Niles Phipps on June 29, 2008, in a ceremony at his home in Hartwick Seminary. Throughout his life, Rodney was a faithful church-goer. For years he was especially committed to working with the teenage youth group. Equally important was his faith in the God of the scriptures to whom he trusted his life. Micah 6:8 is a scripture verse that characterized Rodney's earthly walk: "… what does the Lord require of you? To act justly and to love mercy and to walk humbly with your God." Rodney is survived by his wife Betty of Harwick Seminary; two sons and daughters-in-law, Paul and Deborah Ann Ingalls and David and Darlene Ingalls, all of Hartwick Seminary; one daughter and son-in-law, Marybeth and Jeffrey Ring of Baltimore, MD; 13 grandchildren, Jesse Ingalls and his wife Amber, Jenny Lynn Brett and her husband Charles, Justin Ingalls, Joanna Ingalls, Nathanael Ingalls, Benjamin Ingalls and his wife Serapha, Micah Ingalls and his wife Heidi, Peter Mark Ingalls and his wife Erica, Lynsey Ring Dimas and her husband Tim, Joshua Ring and his wife Leigh, Heather Brown and her husband Randal, Tessa Ring and Priscilla Ring; one step-son, Jonathan Phipps and his wife Kim McCorkle of Canada; and 13 great grandchildren. He was preceded in death by one son, Timothy H. Ingalls, who died at the age of 6 on February 10, 1963. The Ingalls family will receive friends at the Connell, Dow & Deysenroth Funeral Home in Cooperstown on Sunday, November 24, 2013 from 3-5 and 6:30-8:30 p.m.
A Funeral Service will be offered at 10 a.m. on Monday, November 25, 2013, at the Community Bible Chapel on Greenough Road in Toddsville, with the Rev. John Klosheim, pastor, officiating. Following the funeral service at church, Rod will be brought to the Hartwick Seminary Cemetery in the 1961 Flxible Buick Flxette Hearse that was purchased new by Rod's cousin, Chester W. Ingalls, when he owned the Ingalls Funeral Home in Cooperstown. Military Honors at the cemetery will be accorded by members of the Cooperstown Veterans Club and the United States Navy Funeral Honor Guard. COOPERSTOWN, NEW YORK - Peter G. Hunt, 71, passed away peacefully at home on the 12th of November 2013. Peter was born in England, and spent a great part of his life traveling around the world until he settled down in Cooperstown, New York, where he has been for the past 30 years. He is survived by his life partner and gardening sidekick, Linda Parmalee. He is also survived by his loving sister and brother, Fiona and Martin, as well as his loving daughters, Lucy and Anna, and Lucy's children Autumn and Otto and Anna's children Rowan and Jeanne, all of whom reside throughout the United Kingdom of Great Britain. He is also survived by his loving daughters Jennifer and Heather and her children, Santiago and Sofia, all of whom reside in New York State. In lieu of flowers, donations may be made in the name of Peter G. Hunt to either Bassett Cancer Center, 1 Atwell Road, Cooperstown, NY 13326, or to Catskill Area Hospice and Palliative Care, 1 Birchwood Drive, Oneonta, NY 13820. Declarations of sympathy and enquiries may be made to Connell, Dow & Deysenroth Funeral Home, 82 Chestnut Street, Cooperstown, NY 13326. JACKSONVILLE, FLORIDA - Jillian Faith Hicken, age 38, went to heaven on October 17, 2013. She was the daughter of David and Deidre Hicken of Oneonta. In addition to her parents, she leaves her siblings Adrienne, Justin, Darienne, Eric, Shanyea, Karyn, Irene and William Hicken, all of Jacksonville, Florida. Jillian was much loved by all who knew her. She had an infectious smile that carried her through all the physical limitations she faced. At 11 a.m. on Saturday, November 16, 2013, the dedication of Jillian's grave and her burial will be in Hartwick Seminary Cemetery in Hartwick Seminary. Walk with God, Jillian. You will be missed. …when ye are in the service of your fellow beings, ye are only in the service of your God. COOPERSTOWN - Charles A. Coleman, Jr., known by just about everyone as "Chuck" or "Pappy", died early Saturday morning, November 9, 2013, at Otsego Manor. Proud of his Irish heritage, he was 85. A native of Cooperstown, Chuck was born at the Mary Imogene Bassett Hospital on May 30, 1928, a son of Charles Alfred Coleman, Sr. and Anita Belle née Morgan Coleman. He was raised in the Catholic Faith and took his First Communion on June 2, 1935, at St. Mary's "Our Lady of the Lake" Roman Catholic Church in Cooperstown. In his youth he served as an Altar Boy at St. Mary's and also sang in the choir during the time his mother served as church organist. His talent for singing continued throughout his life, highlighted by the time he and several other Cooperstown vocalists appeared on Arthur Godfrey's Talent Scouts. During his high school years Chuck was a three letter man and won many trophies in swimming. He graduated from Cooperstown High School with the Class of 1946 and then attended Hartwick College on a football scholarship. During this time, he contemplated joining the Oneonta Police Force, and in 1947 finished first in the department's physical and mental tests. On December 3, 1948, Chuck married the former Dolores Maxine Snyder in a ceremony held in the Rectory at St. Mary's "Our Lady of the Lake" Roman Catholic Church in Cooperstown, with Fr. Patrick Whelan officiating. Dolores and Chuck then settled into their home on Beaver Street and raised their three boys. Throughout his life, Chuck was employed by several area business. For four years he worked as an installer for Western Electric, and for eight years he worked the counter at Otsego Wholesale Electric Company in Oneonta. For a time he was employed as an installer with New York Telephone Company, and also worked as a salesman for Singer Sewing Machines and as a manager for Buchanan Howe. 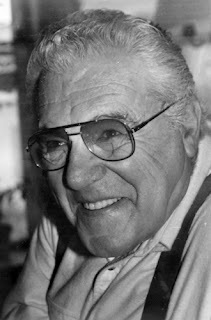 He eventually settled into a career as a printer, working as a pressman for The Freeman's Journal, The Otsego Farmer, Lennon Litho in the Mohawk Valley and ultimately Barton-Butler Graphics in Cooperstown. Not one to stay idle in his retirement, Chuck served in later years as a security guard at The Fenimore House and Museum, as well as a shuttle bus driver for Bassett Healthcare and The Otesaga. A Cooperstown Native Son, Pappy truly loved his Village, and throughout the years served his fellow residents well in several capacities. At one time he was on the Village's Watershed Committee and was also a Village Trustee for a period of time, for which he received special recognition from Otsego County. He will especially be remembered for his devotion to the Cooperstown Fire Department, especially Mechanic's Hook and Ladder Co. No. 5. He served that Company as Foreman and as Chief (1974-1976), and when the Company celebrated 110 years of service, he was co-chairman of the festivities. He also served two terms as President of the Department. In his leisure, Chuck enjoyed spending time outdoors. He loved the water, and at various times in his life served as a National Aquatic Life Saving Instructor, a boating safety instructor, and was a counselor at Camp Ballou in Utica where he taught swimming and water safety. He also swam the length of his beloved Otsego Lake two times. A hunter, he also liked to fish, especially on Otsego Lake. He was also an accomplished bowler, and in recognition of his pool playing skills, the Charles "Pappy" Coleman Pool Tournament is still a regular event during the Cooperstown Winter Carnival. Most especially, Chuck loved family get-togethers. Whether you called him Chuck or Pappy, his presence throughout the Village of Cooperstown will be greatly missed by his family and friends. He is survived by his loving and devoted wife of 65 years, Dolores, of Cooperstown; their three sons and daughters-in-law, Charles A. "Skip" Coleman III and Laura, Carter F. Coleman and Katie, and Clifford S. Coleman and Colleen, all of Cooperstown. He is further survived by eight grandchildren and 15great grandchildren: Brandi and Ross Valvo and their two children, Amanda and Rich O'Hara and their child, Jill and Marc Giberson and their three children, Melissa and Dan Croft and their three children, Maegan and Scott Whiteman and their two children, McKenzie Coleman, Lindsay and Tim Hayes and their two children, and Clifford and Meagan Coleman, Jr. and their two children. Also surviving is one sister and brother-in-law, Morganna and Michael Garbera of Richfield Springs, a sister-in-law, Betsy J. Snyder of Latham, and many many nieces and nephews. He was preceded in death by one brother, Roger A. Coleman and his wife, Carol, and two sisters, Josephine C. Taugher and her husband, Stuart, and Jane A. Reich and her husband, Robert. Friends may call and pay their respects to the Coleman family at the Connell, Dow & Deysenroth Funeral Home in Cooperstown on Tuesday, November 12, 2013, from 5-7 p.m. A Firefighter Memorial Service will be conducted at 7 p.m. by members of the Cooperstown Fire Department. A Funeral Service will be offered at 11 a.m. on Wednesday, November 13, 2013, at the Connell, Dow & Deysenroth Funeral Home with Fr. John P. Rosson, pastor of St. Mary's "Our Lady of the Lake" Roman Catholic Church, officiating. Immediately following the service at the funeral home, the Cooperstown Fire Department's 1952 Mack Fire Truck will bear Chuck's casket through the Village streets in procession, culminating with the Final Alarm at the Fire Hall on Chestnut Street. As an alternative to flowers, please consider a donation in memory of Chuck to either the Cooperstown Fire Department, P.O. Box 1, Cooperstown, NY 13326, or to Catskill Area Hospice and Palliative Care, 1 Birchwood Drive, Oneonta, NY 13820. COOPERSTOWN - Betty Lou Eldred, who was lovingly called "GiGi Chocolate" by her family, died late Thursday morning, November 7, 2013, at Otsego Manor. She was 85. Born May 4, 1928 in Ilion, she was a daughter of George B. and Edna Lillian (Haack) Bird. She married Ronald LeRoy Eldred on December 31, 1953 in Cooperstown. Betty is survived by her son, Stephen J. Eldred, and his wife, Bonnie, of Hartwick; three grandchildren, Angela Leinhart and her husband, Jon, Chad Eldred, and Marcy Canady; and four great grandchildren, August Lott, Crosby Leinhart, McKenna George and Drew Canady. She was preceded in death by her husband of 47 years, Ronald, who died July 27, 2001, and their son, Robert ("Bobby") James Eldred, who died May 14, 2001. A Celebration of Betty's Life will be held at 11 a.m. on Saturday, December 7, 2013, at the home of Stephen and Bonnie Eldred, 159 Wileytown Road, Hartwick. In lieu of flowers, donations may be made to Catskill Area Hospice and Palliative Care, 1 Birchwood Drive, Oneonta, NY 13820. BURLINGTON FLATS - Julia Bruce, 92, formerly of Burlington Flats, died early Monday morning, November 4, 2013, at Bassett Medical Center in Cooperstown. She was born October 29, 1921, in Somerset County, near Altoona, Pennsylvania, a daughter of Austrian immigrants Anton and Agnes (Sernel) Oblak. After moving with her family to Otsego County, she was first employed at Homer Folks Hospital in Oneonta. It was here that she met her future husband, Gerald W. Bruce, a baker at the hospital. On October 6, 1946, Julia and Gerald were united in marriage in a ceremony at St. Mary's "Our Lady of the Lake" Roman Catholic Church in Cooperstown. Julia later worked in the dietary department at Hartwick College, as well as in the cleaning services department at SUNY Oneonta. A devoted communicant of St. Mary's "Our Lady of the Lake" Roman Catholic Church in Cooperstown, she was also a supporter of the Cooperstown Art Association. She loved animals, and had a special affection for her dogs and horses. Julia is survived by one son and daughter-in-law, John F. and Irene Bruce of Port Crane; two daughters and sons-in-law, Patricia A. and Stanley Bunal of Bristol, Vermont, and Kathleen and Candeloria Seoane of Rome, New York; three grandchildren, Adam Bruce and his wife, Genevieve, of Denver, Colorado, Anthony Seoane of Rome, NewYork and Robert Seoane of Schenectady; one sister, Dorothy Kelly of the Town of Exeter; and many nieces and nephews. She was preceded in death by her husband of 60 years, Gerald, who died December 4, 2006. She was also predeceased by three sisters, Agnes Reed who died earlier this year, Mollie Kirn who died in 2005, and Mary Pernat who died in 2002, and three brothers, Anton Oblak, Jr. and Frank Oblak who both died as young children, and her twin, Louis A. Oblak, who died in 2008. A Mass of Christian Burial will be offered at 11 a.m. on Tuesday, November 12, 2013, at St. Mary's "Our Lady of the Lake" Roman Catholic Church in Cooperstown, with Fr. John P. Rosson, pastor, officiating. The Service of Committal and Burial will follow in St. Mary's Cemetery in Index. Julia's family would like to extend a heartfelt thank you to the entire staff of The Mohawk Homestead for the wonderful care given to our Mother.